It’s a rare treat for me to check in at posh resorts when out traveling; preferring bare, no-frills accommodations over fancy ones to save on travel expenses. But for the first leg of my Bolinao tour, Puerto del Sol, the town’s most prominent resort near Patar, became my home, well, at least for a night. 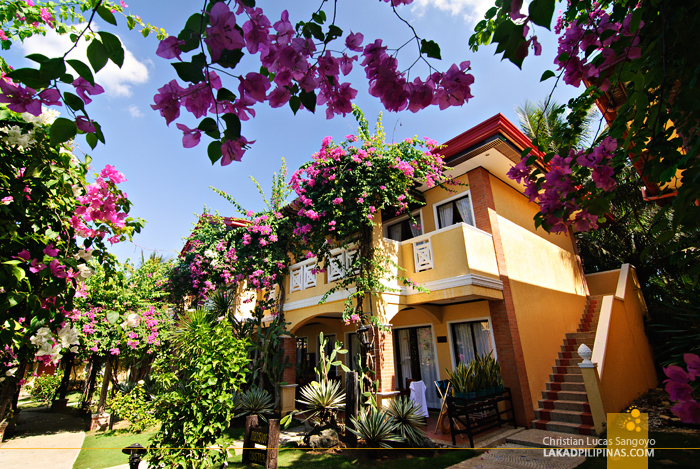 Beautiful cottages, lush gardens, an azure swimming pool, fantastic cuisines and fine, white sand beach. Who am I to refuse a free stay at a resort as luxurious as Puerto del Sol? For our stay, we were booked in their yellow Mansion Villas. 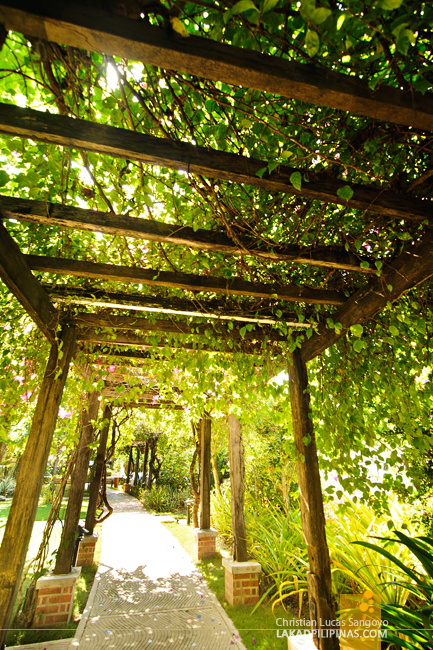 Surrounded by greeneries and flowers, the place is really just lovely. 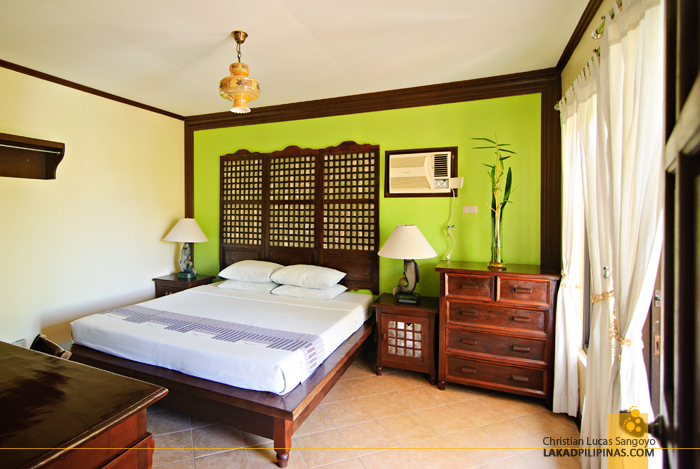 Our room has two twin beds and can accommodate up to four persons. Bathroom amenities are provided and although I didn’t see the need for a hot shower, they do have one. The room is equipped with a 21-inch flatscreen telly for couch potatoes on vacation. But what I really like about our room is the outdoor verandah which overlooks Puerto del Sol’s central swimming pool. I’m a coffee person and I just love having a hot cup of whatever kind of coffee while relaxing on a terrace. The only thing missing was a Wi-Fi connection, which is only available at the restaurant, to complete my blogging set-up. After quickly depositing our bags, the first thing I checked out was the resort’s kidney-shaped pool. Surrounded by palm trees and bougainvilleas, it’s a medium-sized one that’s good for a few laps. A Jacuzzi is found at the back and a pool bar right smack in the middle of the pool. The floor gently slopes down from thigh-deep to around five feet or so at its deepest. For the kids, worry not, there is the much shallower kiddie pool right beside it. 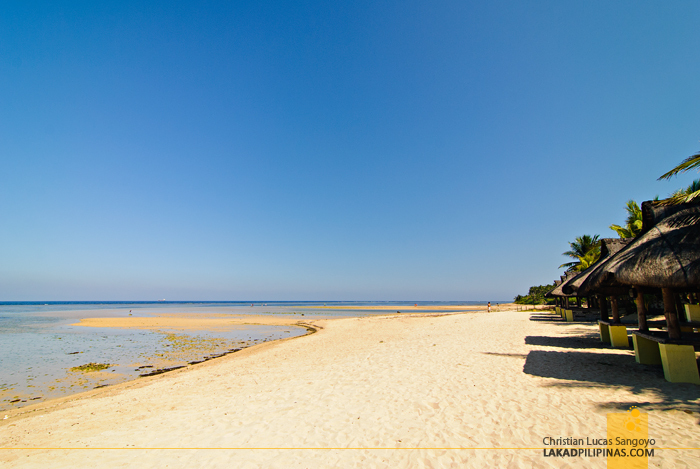 But who really needs a pool when you’ve got Bolinao’s gorgeous white-sand beach just a few steps away from your villa. The sand here is very fine and would probably please even the most sticklers of beach bums. It was just unfortunate that the tide was at its lowest when I checked out the beach, so I wasn’t really able to swim that much. Back to the pool I went. Cogon huts line the shoreline of Puerto del Sol. I actually had a grand time just chilling out and practicing the art of doing nothing here, which I rarely do on my trips. For photography nuts, Bolinao being not so densely populated and far from the light pollution of the cities, is one area where you can train your lenses at the night sky and see a never-ending array of stars. 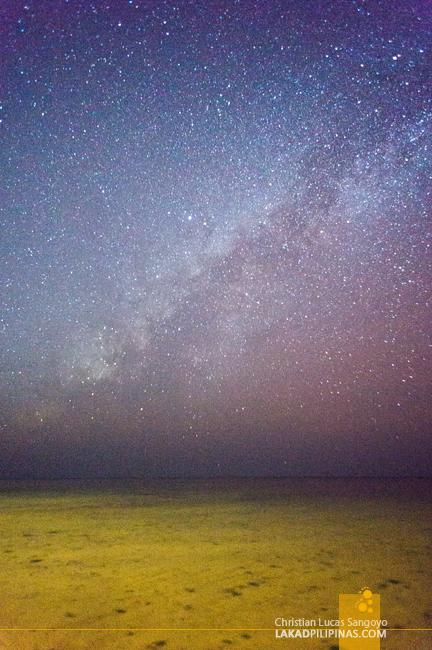 We were even lucky enough to spot our galaxy, the Milky Way, across the dark horizon. 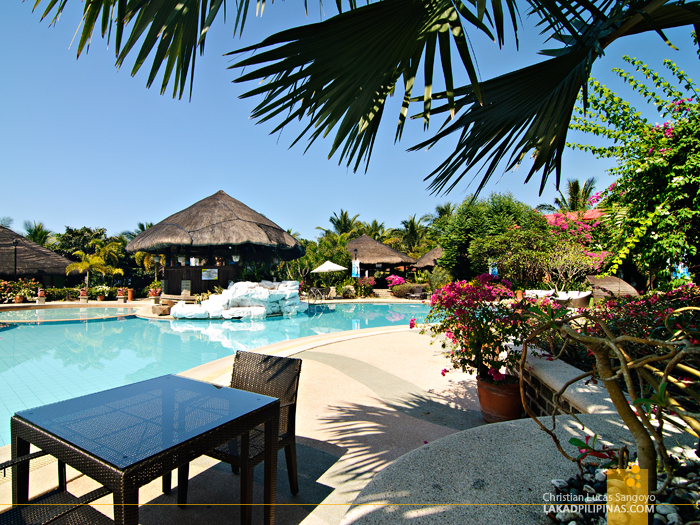 The resort offers free breakfast except for their dorm and nipa hut rooms. 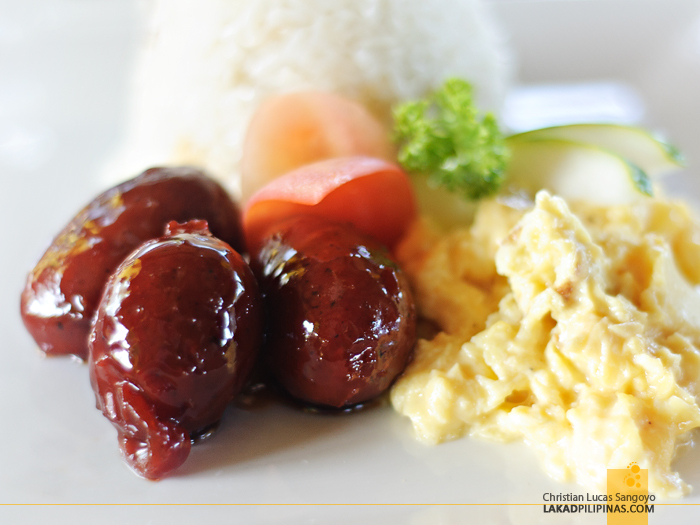 And since we were neither in those, we had our free morning grub at Café del Sol, the resort’s rustic restaurant. 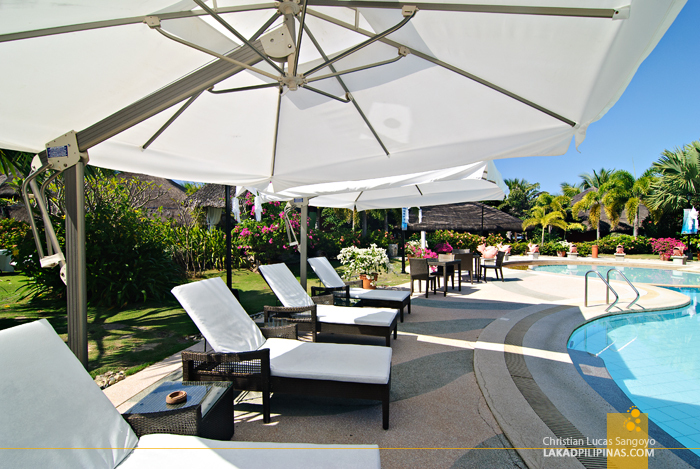 It has a panoramic view of the sea which adds to the mediterranean feel of the place. After having our fill, we were shown around Puerto del Sol and I was surprised to find that they also have accommodations for budget travelers. 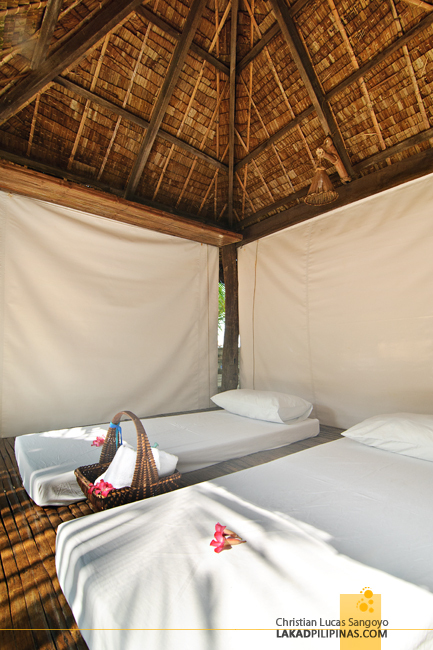 For backpackers, they have the nipa huts (Php2,000.00), which is basically an open-aired hut covered with tarp curtains for privacy. It can room up to five persons but is really very stripped down and basic. 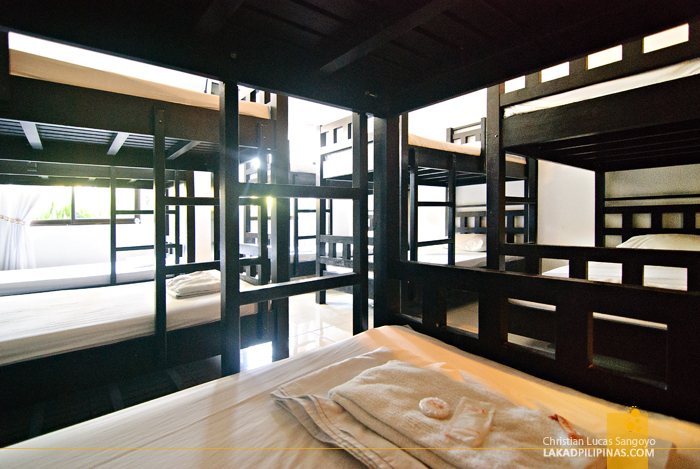 For those traveling in big groups, their dorm rooms (Php9,990.00) can bed fourteen individuals. They have two of these, one for the guys and another for the gals. The problem with these types of rooms is usually the CR’s. 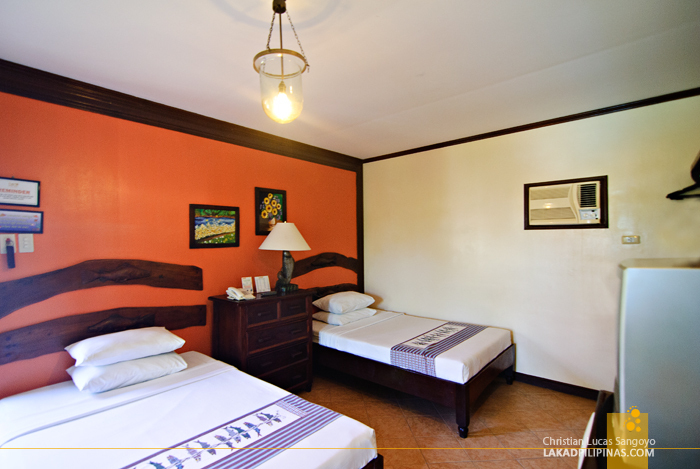 But there’s nothing to worry about, the central comfort rooms, which are quite clean, are spacious enough for everyone. The nicer rooms are of course much more expensive. But to be fair, they really are beautifully and tastefully done. 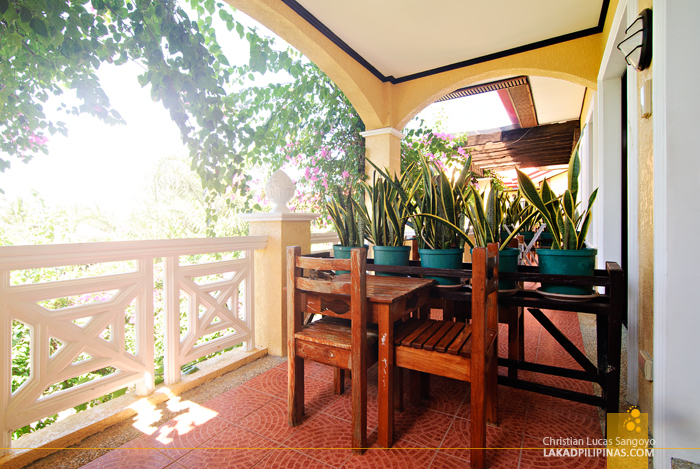 And like our Mansion Villas, they each have their own open-aired verandahs. My stay is a breath of fresh air from my usual spartan accommodation when out traveling. For two days, I was able to relax and enjoy a resort in luxury. 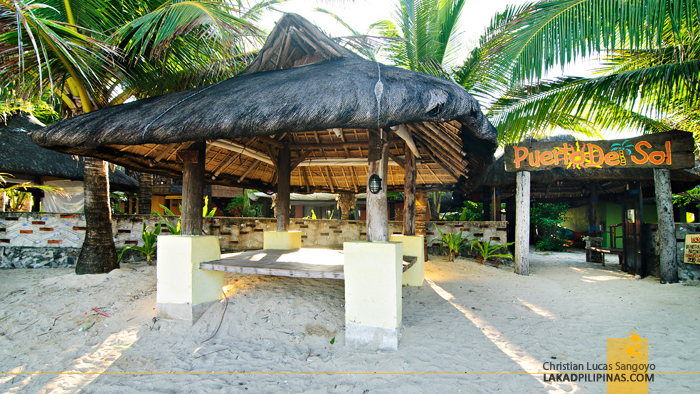 Whether you’re on a budget or have money to burn, Puerto del Sol is an excellent choice for travelers looking for a relaxing getaway in Bolinao. And as its Spanish name suggests, it is one heck of a Gate of the Sun indeed. 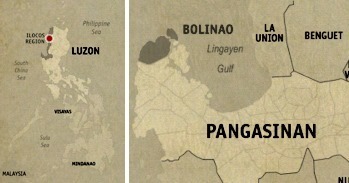 ang ganda naman jan! suerte!